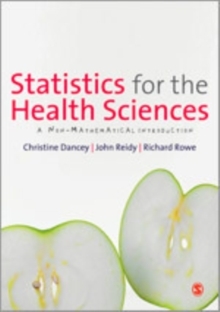 Statistics for the Health Sciences is a highly readable and accessible textbook on understanding statistics for the health sciences, both conceptually and via the SPSS programme. 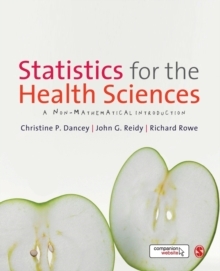 The authors give clear explanations of the concepts underlying statistical analyses and descriptions of how these analyses are applied in health science research without complex maths formulae. The textbook takes students from the basics of research design, hypothesis testing and descriptive statistical techniques through to more advanced inferential statistical tests that health science students are likely to encounter. The strengths and weaknesses of different techniques are critically appraised throughout, and the authors emphasise how they may be used both in research and to inform best practice care in health settings. 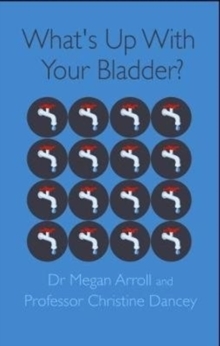 Exercises and tips throughout the book allow students to practice using SPSS. The companion website provides further practical experience of conducting statistical analyses. 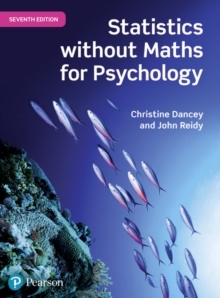 Features include:* multiple choice questions for both student and lecturer use* full Powerpoint slides for lecturers* practical exercises using SPSS* additional practical exercises using SAS and RThis is an essential textbook for students studying beginner and intermediate level statistics across the health sciences.